Pune is an amazing and vibrant city that you can enjoy with your friends and family. It has some classy hang out places where you can chill with your friends. You also get some nice options for fancy dinners or a simple coffee date. There are also plenty of sightseeing options that will take your breath away. So, if you are in Pune and wondering about the places that you can visit, this list of 20 best places to visit in Pune will help you out. The list of the top 20 places to visit in Pune starts with one of the most interesting and loved tourist spots. It is the Parvati hill which is 2100 feet above the sea level. It is a large hillock where you can climb and enjoy. Also, it has Pune’s SL which is 560 meters above the sea level. You can go there to have a chilled out time with friends, family or even alone. Pashan lake is an artificial lake, but it is a great and captivating place. You will find it in the outskirts of Pashan Hill area and is 12 kilometers away from the main city of Pune. The main idea behind building this lake was to fulfill the water requirements of people living in that region. It was made during the Brtish Era so it a relatively old one. Aga Khan Palace is also amongst the landmark places to visit in Pune. Its grandiose structure is worth a visit. It was built in the year 1892 by the famous Sultan Muhammad Shah Aga Khan. This palace also has a historical significance because it was always known to be one of the most prominent places in India. The National Defense Academy of Pune is located in the Khadakwasla area near Pune. It offers joint services where all three sections of the Defence are trained together. So, it has the Air force, the army as well as the Navy. It was the first academy to hold all three pieces of training together. Lal Mahal or the red palace, as the name suggests, is entirely red and is a great tourist destination. It was built in 1630 AD but still holds intact and is one of the most beautiful monuments in Pune. It was made by Shahaji Bhosle (father of Shivaji Maharaj) for his son and wife to live. Peacock bay is located in the lake of Khadakwasla Dam and is a well-known spot for tourists. The Peacock bay is officially owned by Pune’s the National Defence Academy. This place is used for the training programmes in watermanship. Amidst the beautiful nature, it is a great place to visit and have a relaxed time. If you are in Pune, Osho Ashram is a must visit because of its uniqueness and charm. It is in Koregaon Park are in Pune. It was founded by the famous Rajneesh Chandra Mohan Jain who is popularly known as Osho Rajneesh. You can visit this Ashram and dip yourself in spirituality. So, put it down in your list when you are visiting places in Pune. If you are a fan of ancient architecture, then Pataleshwar Cave temple will entice you. It is a rock cut temple that is an old one and dates back to the 8th century. This was built during the period of Rashtrakuta. It is also known as Bamburde or Panchaleshvara temple. Mulshi Lake and Dam is a great place to visit if you love to get a glimpse of nature. It has become a popular destination for tourists in Pune. You can go there and get some beautiful pictures clicked. It is built on the Mula river and is used for irrigation as well as the generation of electricity. If you are in Pune and would love to try out some amazing food, you need to have the Fish Bowl restaurant in your list. It has some of the most mouth-watering recipes that will melt away your heart. What more, the ambiance of the place is just right with its chic interiors, and they serve you the best food ever! Are you a party animal looking for a vent? If yes, the Mi A Mi club will be just right for you. After all the sightseeing, you can visit this place to refresh yourself completely. With high-class music, food, and drinks, this place has a lot to offer. You can dance your night away at this club that boasts of having a wide range of cocktails and beverages. The club is open every Wednesday, Friday and Saturday so pick your day carefully. If you are not in the mood for a club but want to have a relaxed time with friends along with some good food and drinks, you can stop by SWIG bar and eatery. This place gives you a laid back vibe so you can laze around while having good music in the background. You can find it in Koregaon area, and you can even enjoy happy hours if you go there before 9 pm. If you are in the mood for some adrenaline rush, planchet waterpark is a place that you can visit. It is also one of the top choices of people to visit when they are in Pune. It is located amid the Sahyadri Mountains. You can enjoy some fantastic water sports there with adventure rides underwater. You can even go there alone and spend the entire day hopping on and off across various trips. The best thing about Pune is that it is surrounded by beautiful hills where you can go and trek to enjoy some time in the middle of nature. Harihar fort trek is a fantastic one because of its carved out staircases that lead you to the fort. The trek is not very difficult, and you will enjoy a lot of time with nature when you do this trek. Amusement Parks make all of us happy so you must visit the renowned Appu Ghar Amusement Park in Pune. It is a favorite place amongst tourists as well as the locals who like to visit the site to find the child in them. It is the first amusement park that was established in Pune. Its establishment date was somewhere in 1984, and it is still as popular. The Andarban trek is in the andarban or the dark forest. It is a great way to unwind from the daily hustle bustle of a city. The highlight of this trek is the descending part. You will enjoy the trek while having an excellent time with your buddies. It is a perfect getaway for a weekend to disconnect from your work so that you can come back all fresh. If you are an adrenaline junkie and also enjoy being in nature, you can go for this trek on Mount Kalsuba. It is at a 5200 feet height where you can climb and get the most stunning views of nature. You can also take some very unique photos from this trek. This trek will take you two days so you can start from Pune in the morning to begin your exciting journey. Do you want to have some comfortable and relaxed time in Pune? If yes, the cafe Paashh is the place for you. It is an organic cafe with all the healthy juices and food items that you love to indulge in along with a beautiful architecture that entirely lives up to sustainable living. You will find some old and decorated artifacts and an attractive alternative design that will instantly give you a relaxed vibe. You can go there and enjoy a relaxed time with family and friends. Empress Garden is a famous place that is maintained by the Horticultural Society, and it is a must visit. It has been in existence since the 1880s and is home to some of the very rare flora present in that region. Finally, you can go to the Hard Rock Cafe in Pine and enjoy some contemporary music to rock your world. You will get a collection of American food and beer to make sure that you have a fantastic time there. So, if you are planning a trip to Pune, this list will help you make a comprehensive itinerary with activities that can suit all kinds of moods. 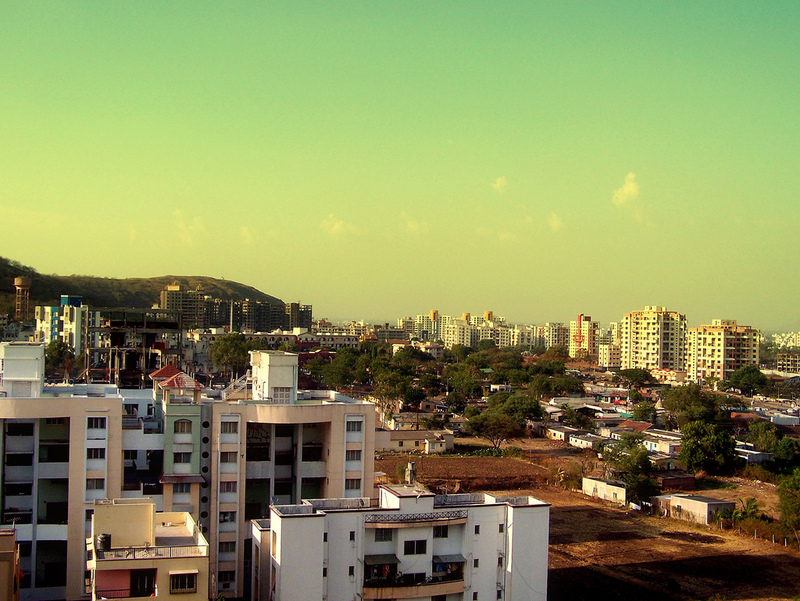 Everything about Pune is tremendous, and it has something to offer to everyone. From nature to fine dining to local food, Pune has all the fantastic things that make it an excellent place to visit. So, how many of these places will hit your list? Start planning your trip NOW!